For custodians of the ancient heritage of the Middle East and North Africa, the recent rise of Islamist extremist groups has posed a dire challenge. Since its seizure of the historic Iraqi city of Mosul in early 2014, Islamic State has pillaged and demolished mosques, shrines, churches and other sacred sites across the region. The group continues to launch “cultural cleansing” operations from Tikrit to Tripoli. In this grim procession, there have been occasional victories for culture over extremism, like the recapture last month of the ancient Syrian city of Palmyra, which may now be restored to something of its previous glory. 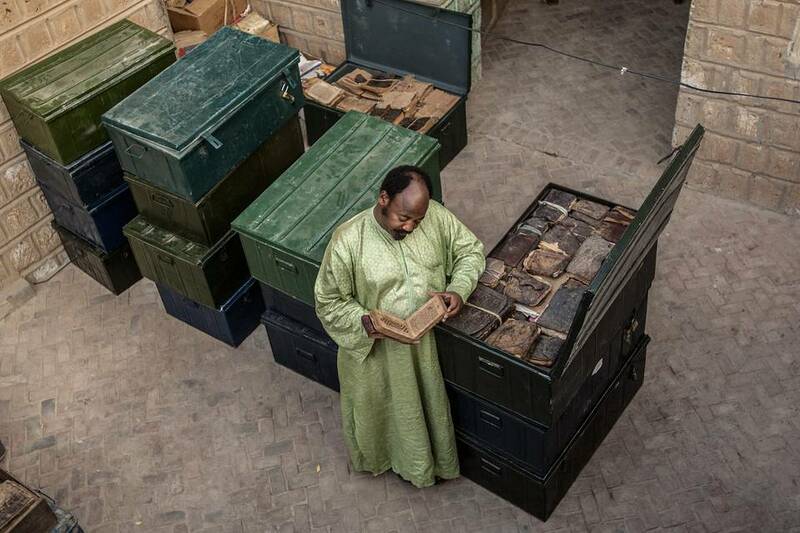 A less familiar case of cultural rescue features an unlikely hero: a 51-year-old book collector and librarian named Abdel Kader Haidara in the fabled city of Timbuktu, in the West African country of Mali. The story begins in April 2012, when Mr. Haidara returned home from a business trip to learn that the weak Malian army had collapsed and that nearly 1,000 Islamist fighters from one of al Qaeda’s African affiliates, al Qaeda in the Islamic Maghreb, had occupied his city. He encountered looters, gunfire and black flags flying from government buildings, and he feared that the city’s dozens of libraries and repositories—home to hundreds of thousands of rare Arabic manuscripts—would be pillaged. The prizes in Mr. Haidara’s own private collection, housed in his Mamma Haidara Commemorative Library, include a tiny, irregularly shaped Quran from the 12th century, written on parchment made from the dried skin of a fish and glittering with illuminated blue Arabic letters and droplets of gold. His collection also boasts many secular volumes: manuscripts about astronomy, poetry, mathematics, occult sciences and medicine, such as a 254-page volume on surgery and elixirs derived from birds, lizards and plants, written in Timbuktu in 1684. “Many of the manuscripts show that Islam is a religion of tolerance,” he told me. Mr. Haidara knew that many of the works in the city’s repositories were ancient examples of the reasoned discourse and intellectual inquiry that the jihadists, with their intolerance and rigid views of Islam, wanted to destroy. The manuscripts, he thought, would inevitably become a target. Months earlier, the Ford Foundation office in Lagos, Nigeria, had given Mr. Haidara a $12,000 grant to study English at Oxford in the fall and winter of 2012. The money had been wired to a savings account. He emailed the foundation and asked for authorization to reallocate the funds to protect the manuscripts from the hands of Timbuktu’s occupiers. The money was released in three days. Mr. Haidara recruited his nephew, and they reached out to archivists, secretaries, Timbuktu tour guides and a half-dozen of Mr. Haidara’s relatives. The result was a heist worthy of “Ocean’s Eleven.” They bought metal and wooden trunks at a rate of between 50 and 80 a day, made more containers out of oil barrels and located safe houses around the city and beyond. They organized a small army of packers who worked silently in the dark and arranged for the trunks to be carried by donkey to their hiding places. Mr. Haidara was especially proud of rescuing one manuscript: a crumbling volume about conflict resolution between the kingdoms of Borno and Sokoto in what is now Nigeria, the work of a Sufi holy warrior and intellectual who had briefly ruled Timbuktu in the mid-19th century. This man, Mr. Haidara argued, was a jihadist in the original and best sense of the word: one who struggles against evil ideas, desires and anger in himself and subjugates them to reason and obedience to God’s commands. It was, he thought, a fitting rebuke to all that the militants stood for. Labels: Africa, Books, Did You Know? 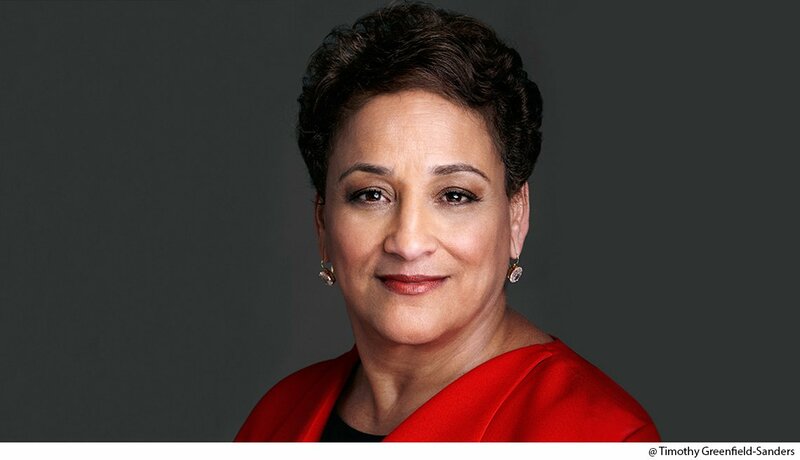 Jo Ann Jenkins is a nationally recognized leader and dynamic change agent with a 25-year track record of growth and innovation at some of the nation’s largest public and nonprofit organizations. As CEO of AARP, she is at the helm of the world’s largest nonprofit, nonpartisan membership organization, where she leads a nationwide network of staff, volunteers and partners helping the more than 100 million Americans 50 and older achieve health security, financial resilience and personal fulfillment. Her signature rallying cry to Disrupt Aging! is designed to revolutionize society’s views on aging by driving a new social consciousness and sparking innovative solutions for all generations. Jenkins, a proven innovator, joined AARP in 2010 as president of AARP Foundation, AARP’s affiliated charity. She led that organization’s far-reaching development and social impact initiatives, including Drive to End Hunger, a national effort by AARP and AARP Foundation to help the millions of older Americans who struggle with hunger every day. Under her leadership, the foundation’s overall donor base increased by 90 percent over two years. Prior to joining AARP Foundation, she served on the board of directors of AARP Services Inc., beginning in 2004 and becoming its chair in 2008. She came to AARP Foundation from the Library of Congress, where she served as chief operating officer, responsible for managing the library’s day-to-day operations, its 4,000-person staff and its budget in excess of $1 billion. During her 15-year tenure, she developed and directed the library’s most high-profile projects, including the renowned National Book Festival and the Library of Congress Experience. Her federal career began at the Department of Housing and Urban Development, and she was rapidly promoted to progressively more responsible leadership positions in the U.S. Department of Transportation and the Department of Agriculture’s Office of Advocacy and Enterprise. Jenkins was a delegate and founding fellow to the U.S.-Japan Leadership Program, a 1999 graduate of Leadership America and a Malcolm Baldrige fellow (2013). She serves as a member of the National Advisory Board of Caring for Military Families. She received the Black Women’s Agenda Economic Development Award in 2013 for spearheading investments undergirding innovative social impact programs and is the recipient of the 2014 Peace Corps Director’s Award. Jo Ann is one of the NonProfit Times’ Power and Influence Top 50 for 2013, 2014 and 2015, as well as winner of SmartCEO’s 2015 BRAVA award honoring top female chief executives. Washington Life Magazine named her one of its Power 100 in 2015. A native of Mobile, Ala., she earned her B.S. from Spring Hill College. She is a 1998 graduate of the Stanford Executive Program, offered by the university’s Graduate School of Business, and was awarded an Honorary Doctorate in Humane Letters by Washington College in May 2014. Athena Davenport is a young woman going nowhere fast. On the outside, everything seemed to be perfect, but on the inside, there was an outcry for more than her average job, normal safe home and she was still in search of real love. She could feel a storm brewing and it was becoming impossible to ignore. 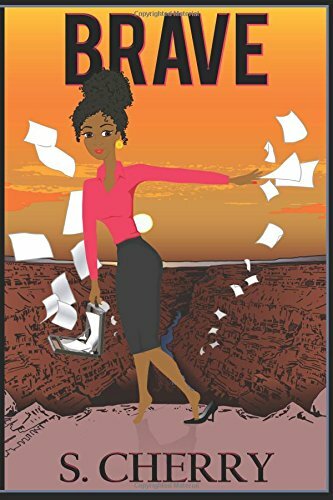 Come step into her accidental journey of self-discovery and wild trial and error romances. Have you ever wondered what you were born to do? Well, so did she and through wobbly knees and shaking hands she went in search of the life she wanted but discovered exactly what she needed. Will she choose what’s comfortable or will she go get the life she secretly covets in her dreams? You will laugh, you will cry, but most of all you will come to understand we are all a part of the greatest love story that has ever been told and we are all Brave!